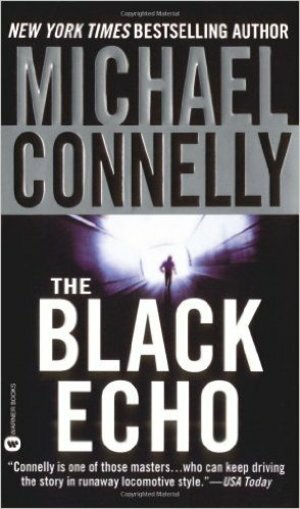 The novel centers on Harry Bosch, a Vietnam veteran who served as a "tunnel rat " (nicknamed Hari Kari Bosch), with the 1st Infantry Division — a specialized soldier whose job it was to go into the maze of tunnels used as barracks, hospitals, and on some occasions, morgues, by the Vietcong and North Vietnamese Army. After the war Bosch became an L. A. police detective advancing to the Robbery-Homicide Division. However, after killing the main suspect in the "Dollmaker" serial killings, Bosch is demoted to "Hollywood Division" homicide, where he partners with Jerry Edgar. The death of Billy Meadows, a friend and fellow "tunnel rat" from the war, attracts Bosch's interest, especially when he determines that it may have been connected to a spectacular bank robbery using subterranean tunnels. Bosch suspects that the robbers were after more than money and he then partners with the FBI, in particular agent Eleanor Wish, in an attempt to foil their next attack. Bosch and Wish end up connecting the robberies to a group of Vietnamese living in Orange County, as well as some Americans that may have been involved with them. In the end, he discovers that a coworker from the FBI is the killer and Eleanor Wish knew all about it the whole time.